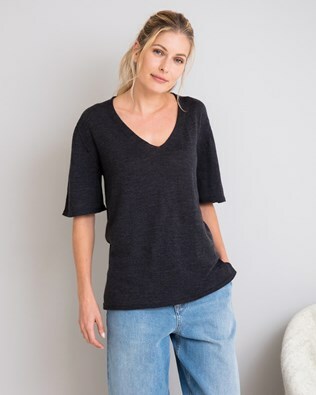 Our beautiful collection of tops for women includes a range of high-quality natural fabrics, such as organic cotton, 100% merino lambswool and easy-to-wear linen for ultimate comfort and quality. If you enjoy wearing long sleeved tops that offer not only style but versatility, Celtic & Co’s womenswear collection is for you. 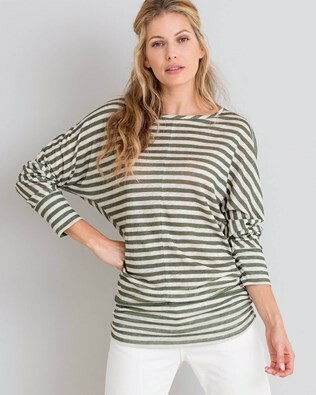 Browse our range of 100% linen boat neck tops with relaxed turned-back sleeves, classic fit organic cotton Henley tops in a range of colours and fine knit Merino crew-neck women’s tops that are made in Great Britain. Whether you’re looking for wardrobe staples or something that is going to keep you warm and comfortable on your next adventure, our womenswear provides stylish designs made from the finest quality of fabrics. Layer a romany beach shirt over a 100% organic cotton vest top and pair with your favourite jeans and boots for the perfect country chic outfit. Make sure to pick up a pair of our gorgeous pure sheepskin boots to finish the look. For a relaxed bohemian look, our romany top is a must. The design of this women’s blouse exudes a free-spirited style and boho feel. 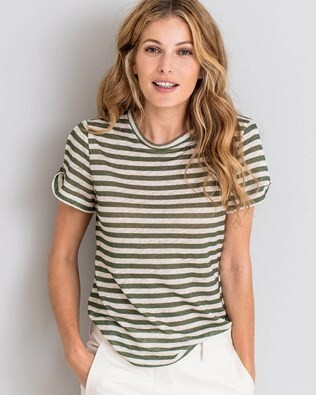 With striped lightweight cotton and feminine tie neckline, wear with light coloured denim, or a long white skirt and sandals, for a summer outfit that is not only beautiful but super-comfortable to wear in warmer weather. For cooler days, choose our fine knit 100% merino lambswool jumper. This sophisticated knit features a relaxed fit and is finished with rolled, raw hems at the neck and cuffs. 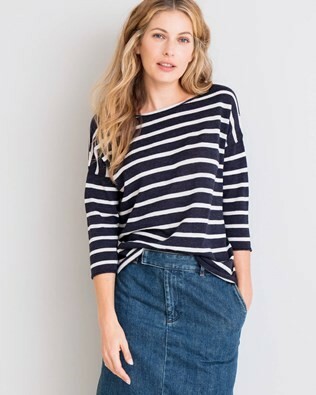 Available in a wide range of colours, the navy gradient design is perfect for a day of sailing, especially when worn with white jeans and wedges. For something you can throw on over almost anything, choose our Indigo sweatshirt. With classic neckline and subtle detailing, this sweatshirt makes for the ultimate lived in style. Made in Europe from 100% cotton, wear all year round. Shop our online collection of women’s tops and shirts from Celtic & Co now.